The Big Nasty Trail is a fantastic loop trail that is named after a brush-covered formation of rough lava rock. 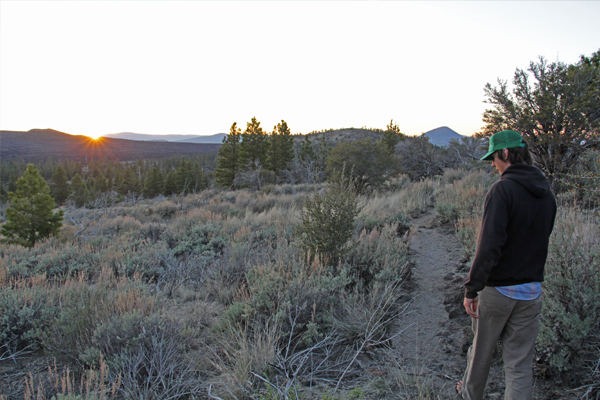 Sweeping views of Lava Beds and the Modoc National Forest can be seen from here, and the trail is a fantastic spot to view the sunset. From the Mammoth Crater/Hidden Valley pullout, the trail starts just before the upper overlook and follows the crater rim before heading west toward Ponderosa pine forests.